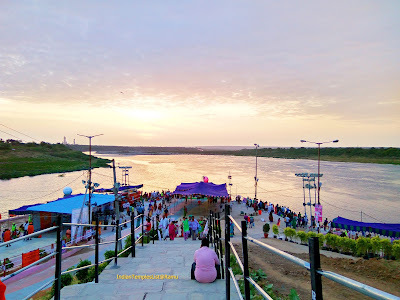 Wadapally or Vadapally, formerly known as Vazeerabad is famous for Sri Meenakshi Agasteswara Swami Temple and Sri Lakshmi Narasimha Swami Temple present on the confluence of two rivers Krishna and Musi. 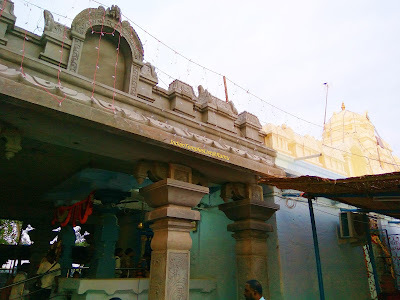 We visited Vadapalli during Krishna Pushkaralu season and had a chance to visit Sri Meenakshi Agasteswara Swami Temple after Pushkara Snanam (Bath) at the sacred Krishna River. Vadapally is located at a distance of just 25 km from Miryalaguda in Nalgonda district of Telangana state. Official languages spoken at Wadapally are Telugu and Urdu. 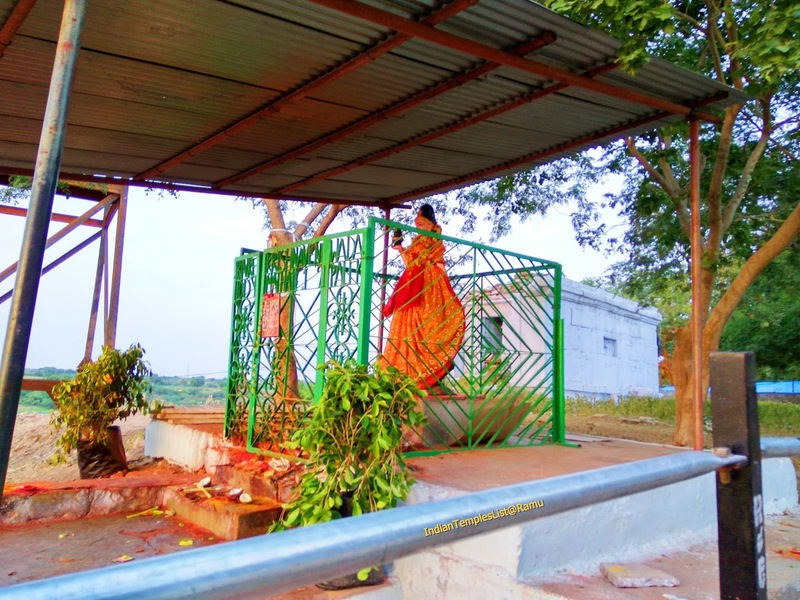 The main attraction of Sri Agastyeswara Swamy Temple is that there is a very narrow opening on top of Shiva Lingam, which is always full of water and maintain constant water level even if some water is removed. There is no logical explanation available for this phenomenon as the Shiva Lingam is positioned at a height of 120 metres above the river water level. Another nearby tourist attraction is Sri Lakshmi Narasimha Swamy Temple. It is believed that Lord Narasimha Swamy is always breathing in this temple. You can easily notice this by seeing the flickering of lamp placed near his face. The two rivers Krishna and Musi joining at Wadapally in “L” shape will give a spectacular view for the pilgrims. 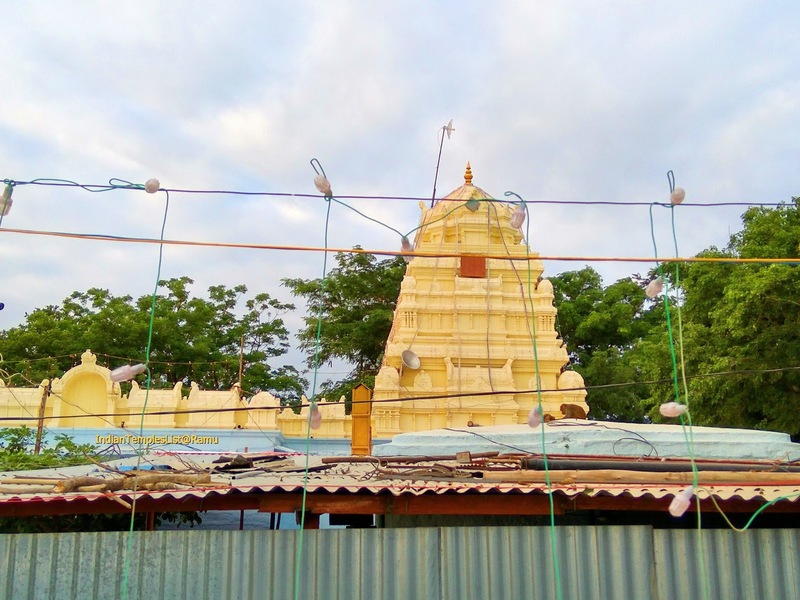 Vadapally temple near Miryalaguda can be easily reached via bus and train from various places in Telangana and Andhra Pradesh states like Hyderabad, Guntur, Miryalaguda and Nalgonda. Private vehicles are also available from Miryalaguda. Vadapalli is well-connect to Miryalaguda by road. Many APSRTC and private buses operate in this route. Miryalaguda railway station is the nearest railway station present at a distance of roughly 29 km away from Vadapalle temple. Vijayawada Airport is the nearest airport present at a distance of around 153 km from Wadapally. Shamshabad International Airport is present at a distance of roughly 183 km away from Wadapally temple. Don't forget to share your thoughts on this post in the comments section and share this information with your friends.